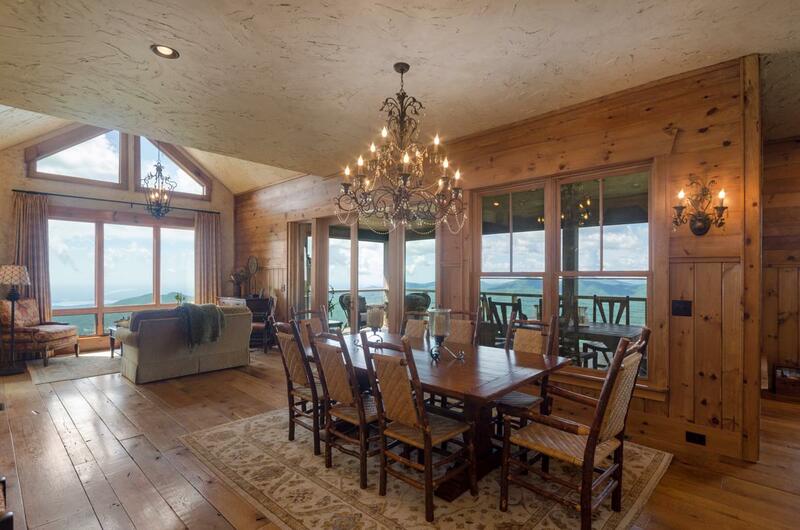 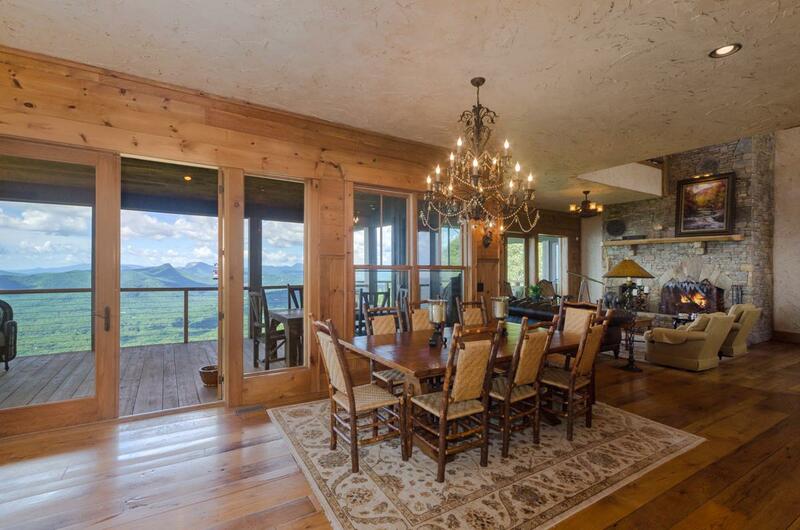 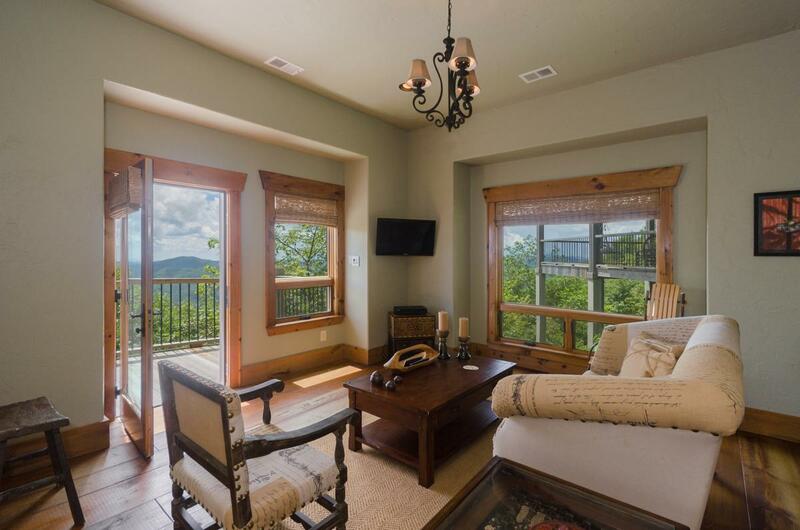 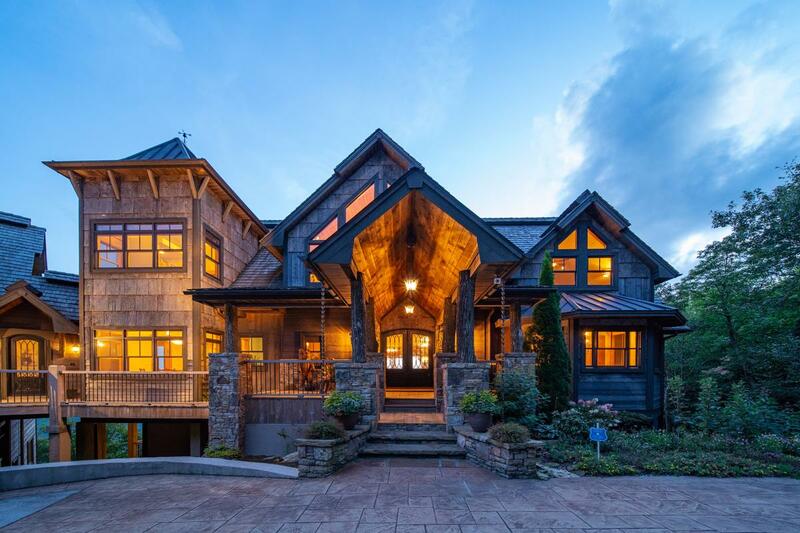 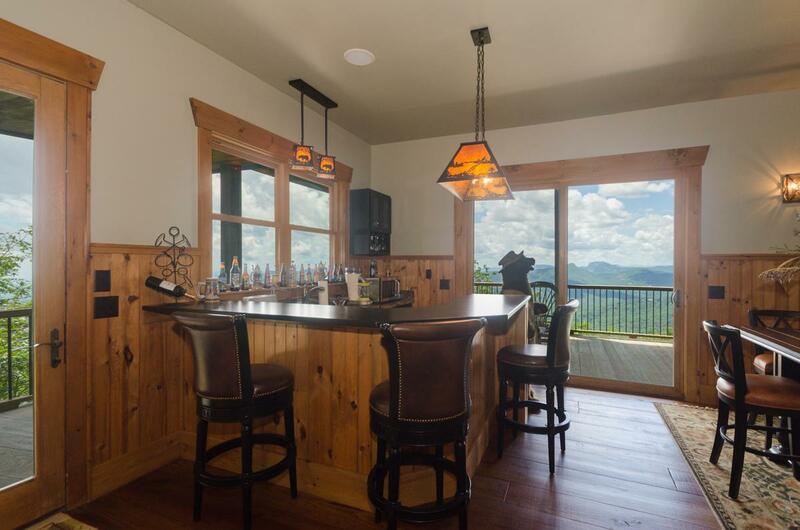 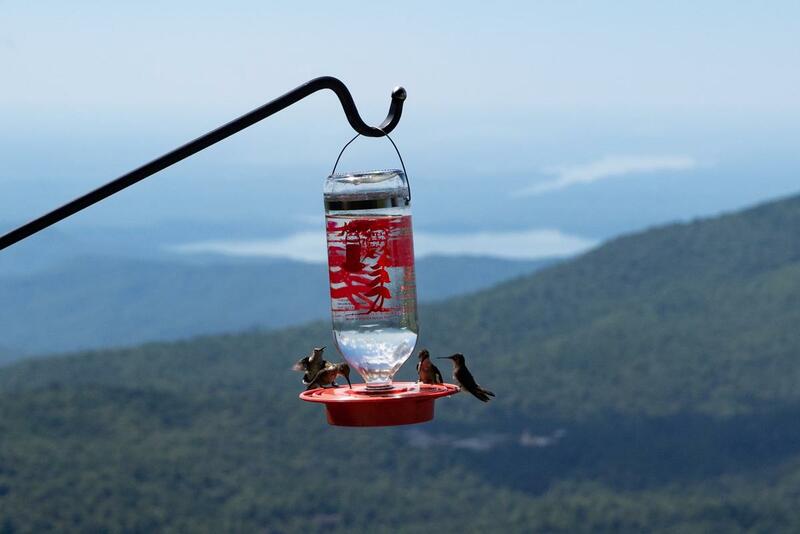 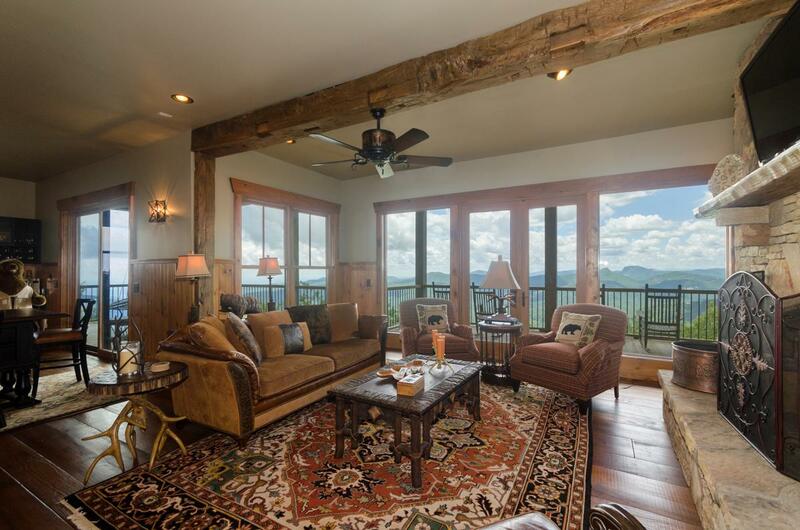 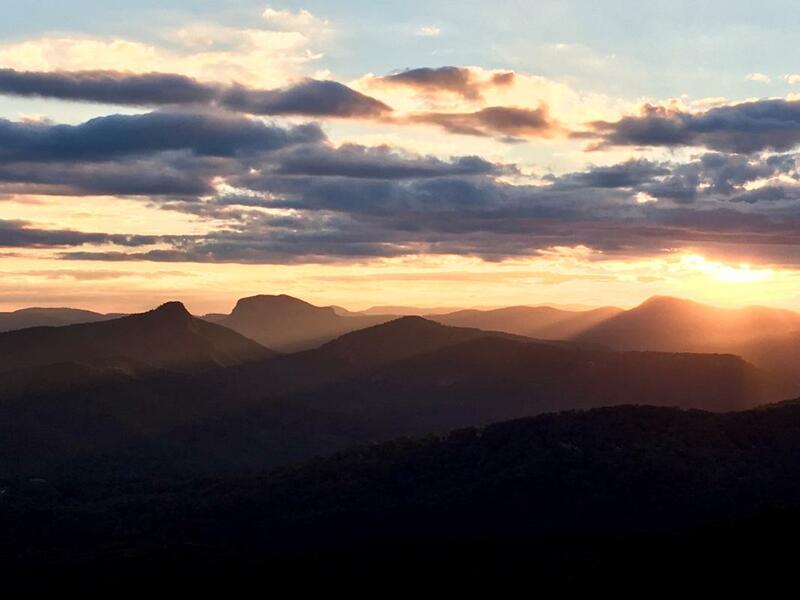 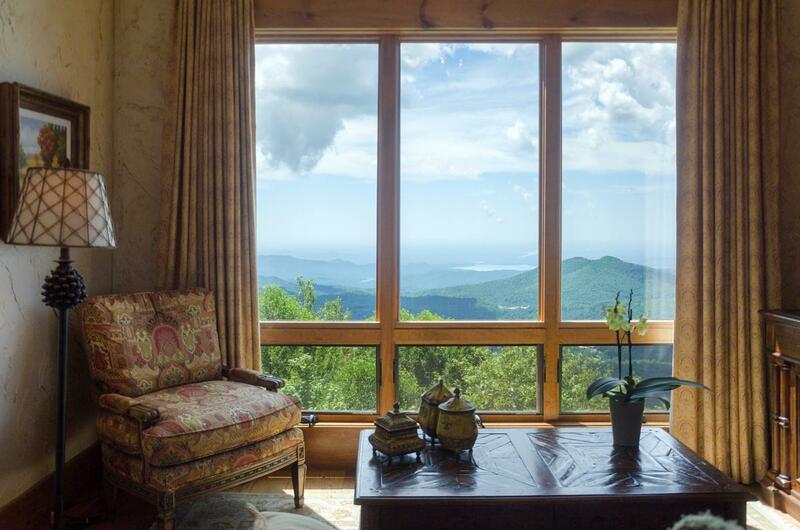 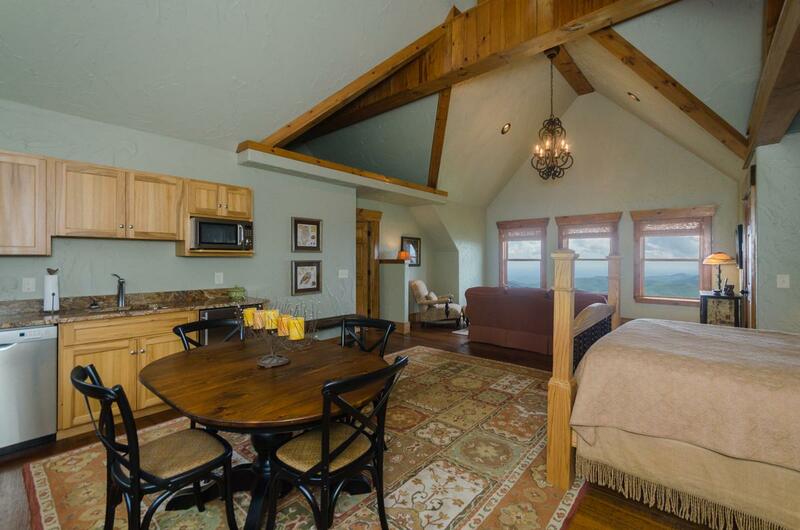 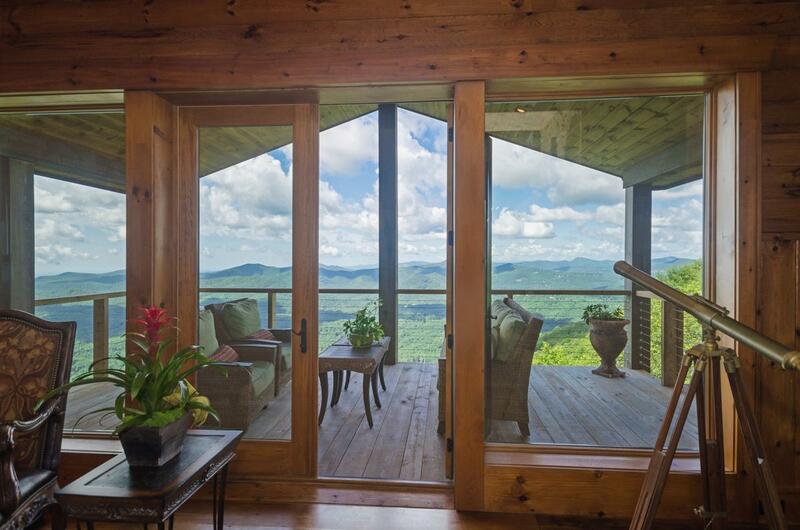 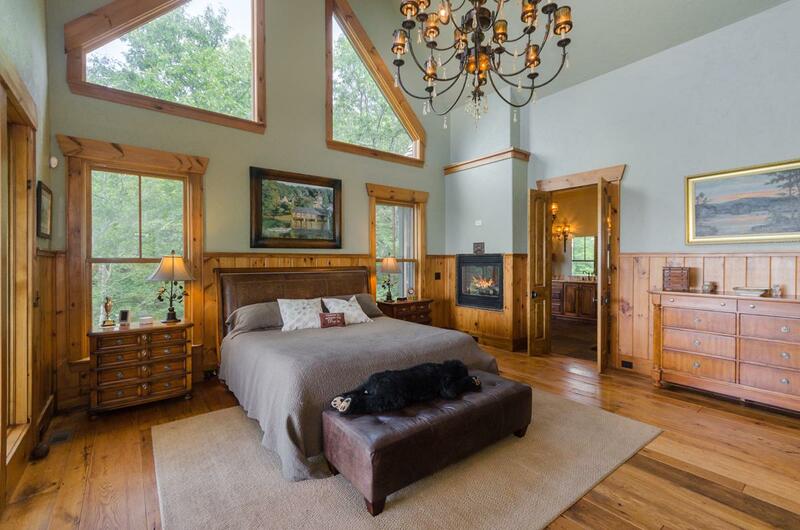 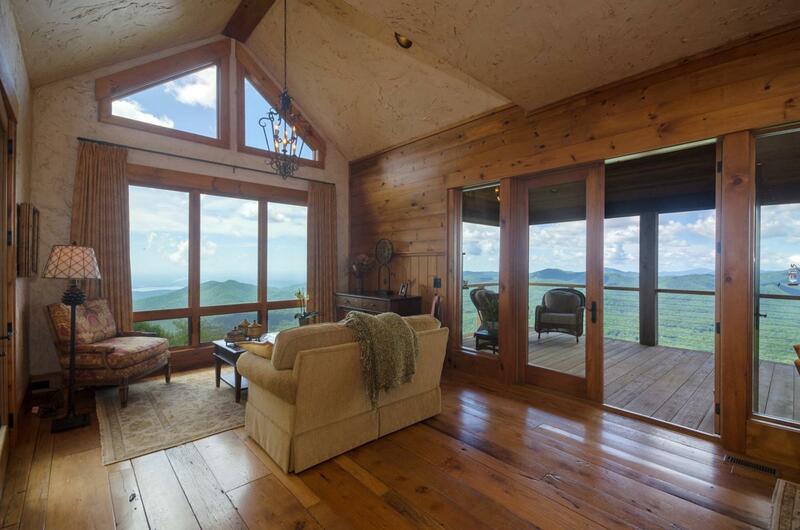 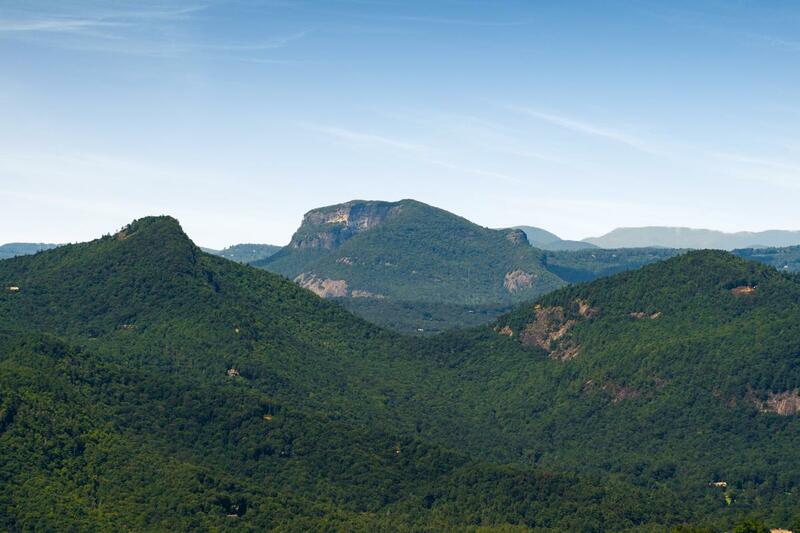 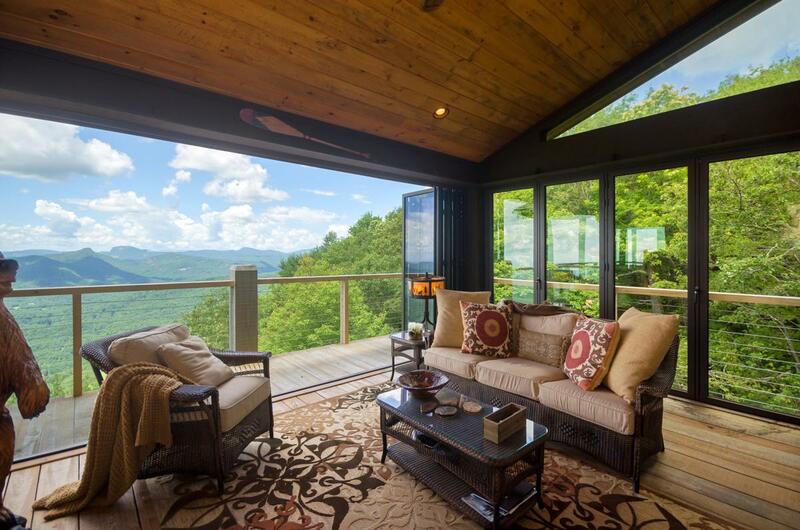 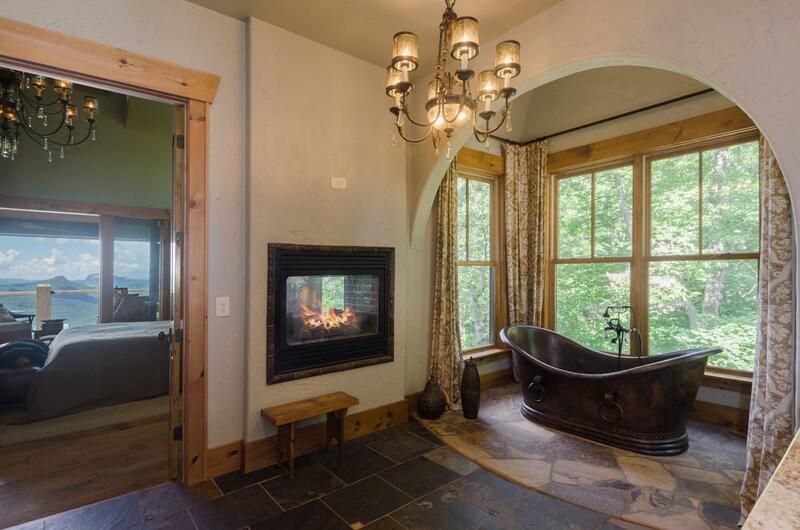 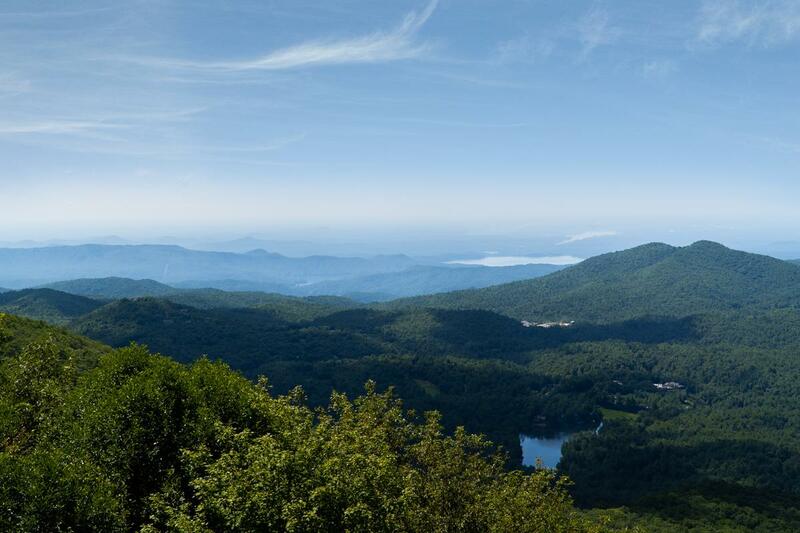 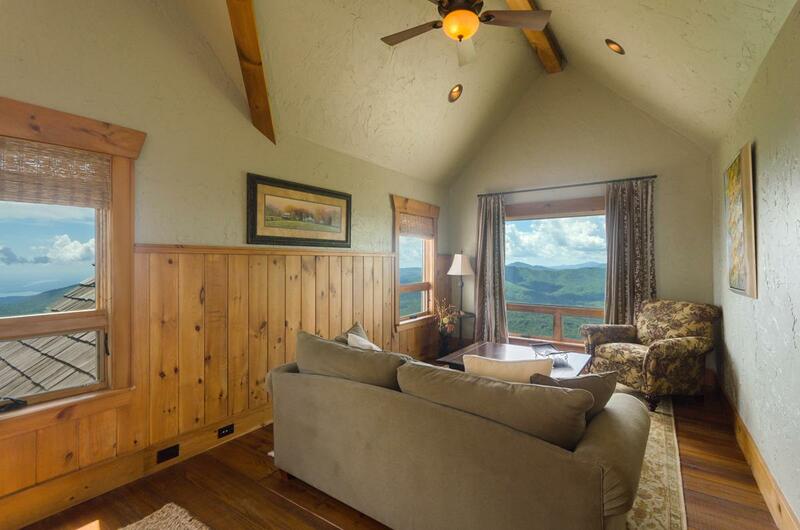 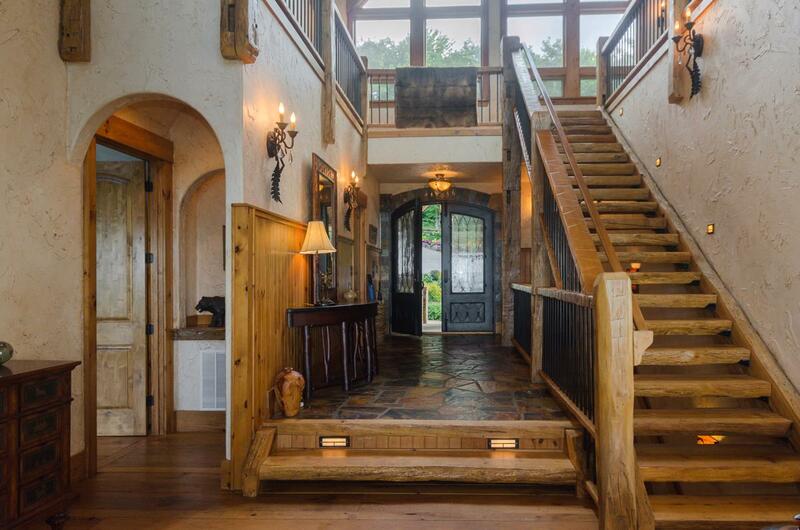 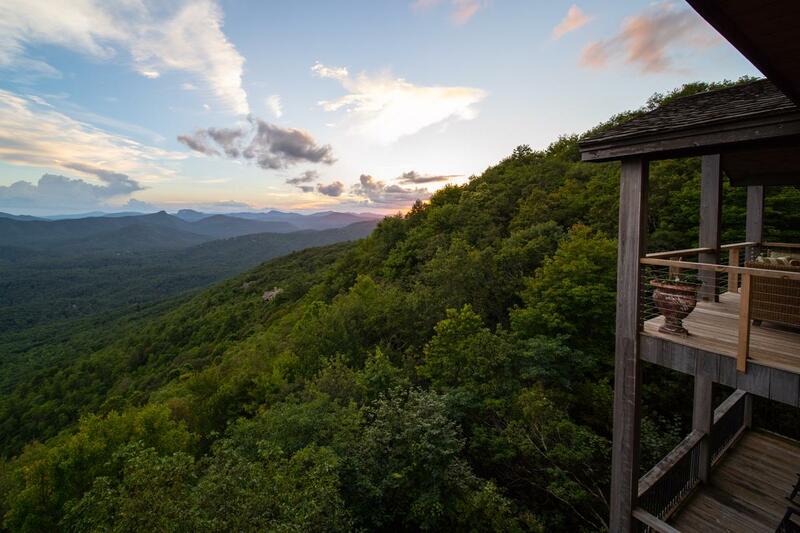 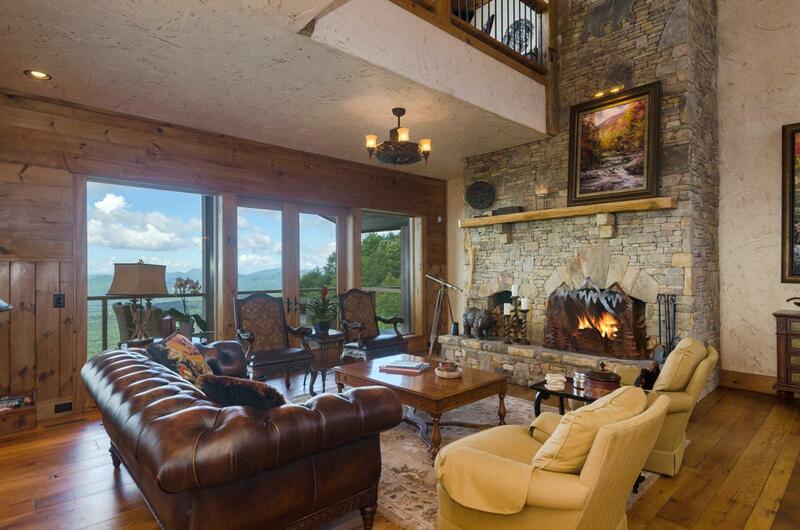 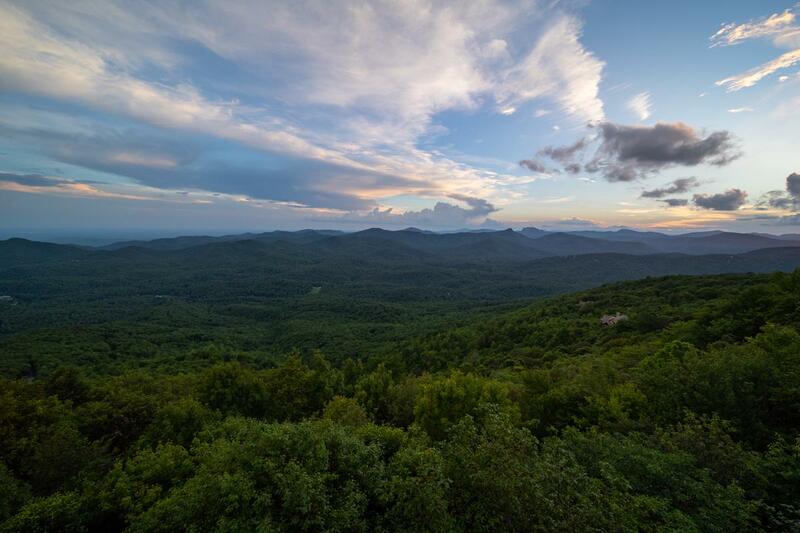 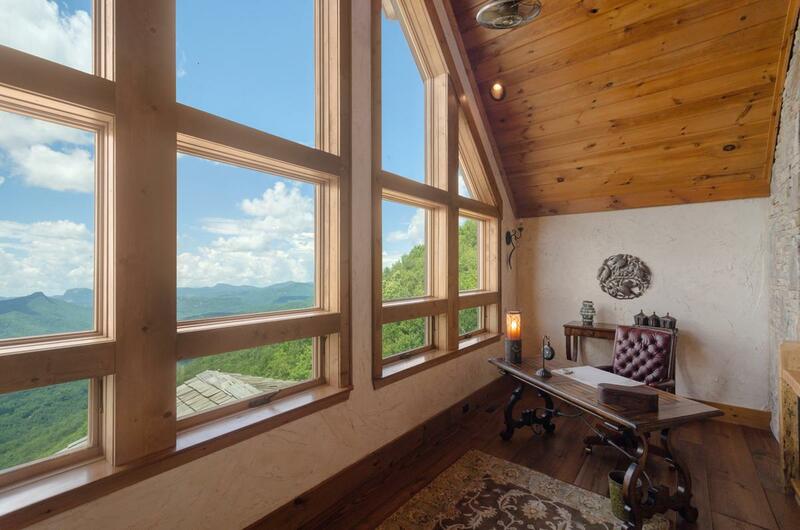 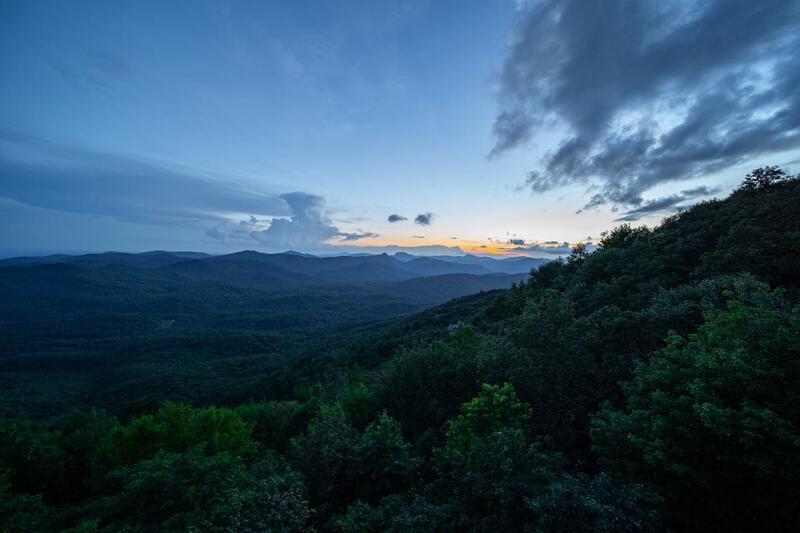 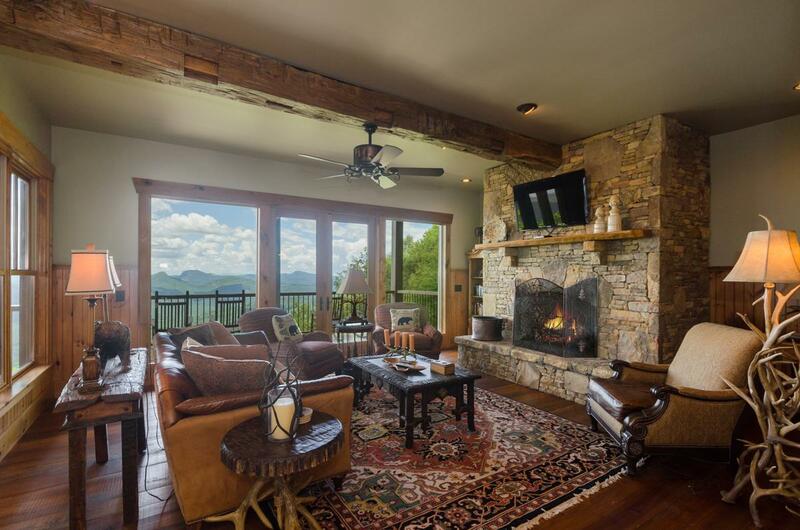 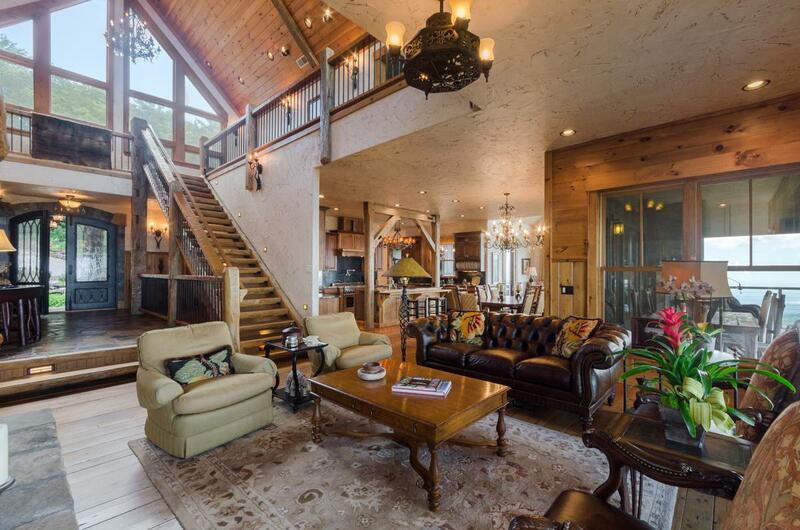 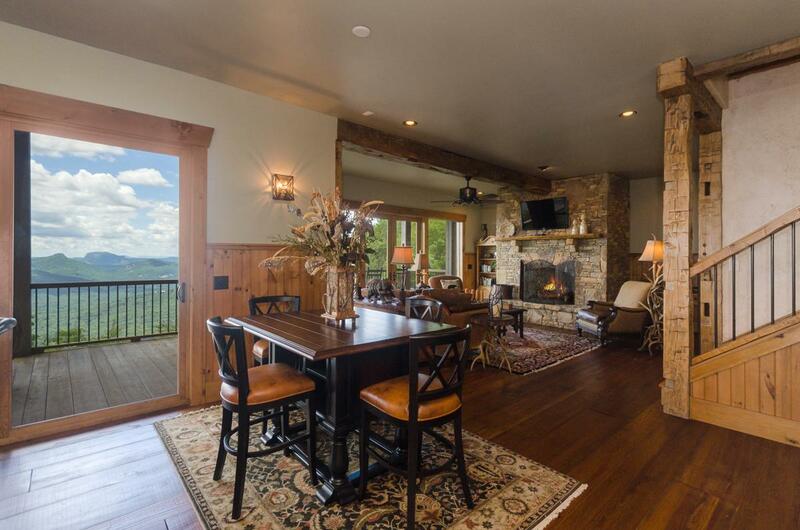 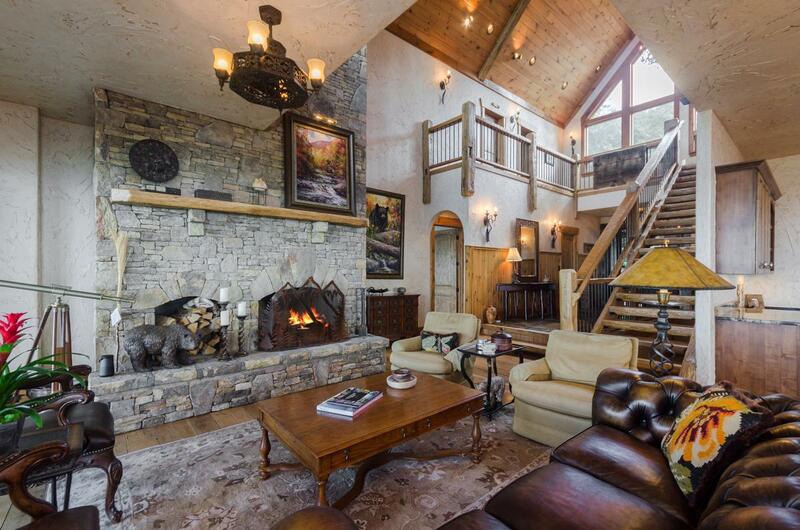 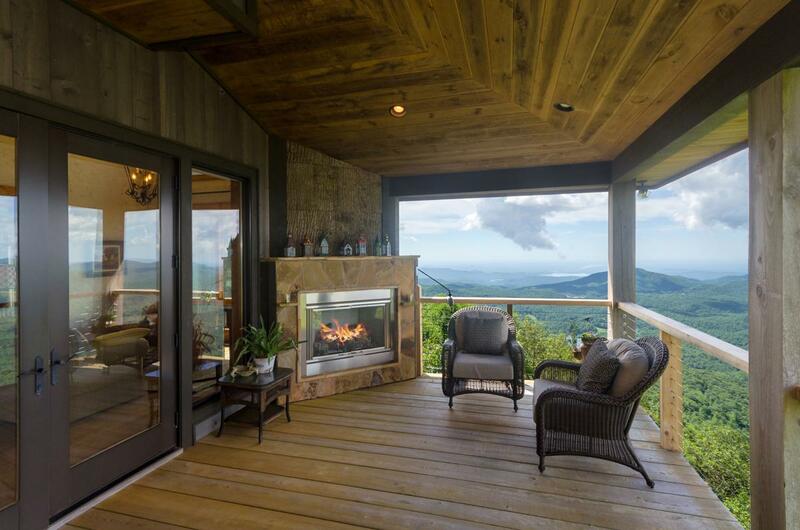 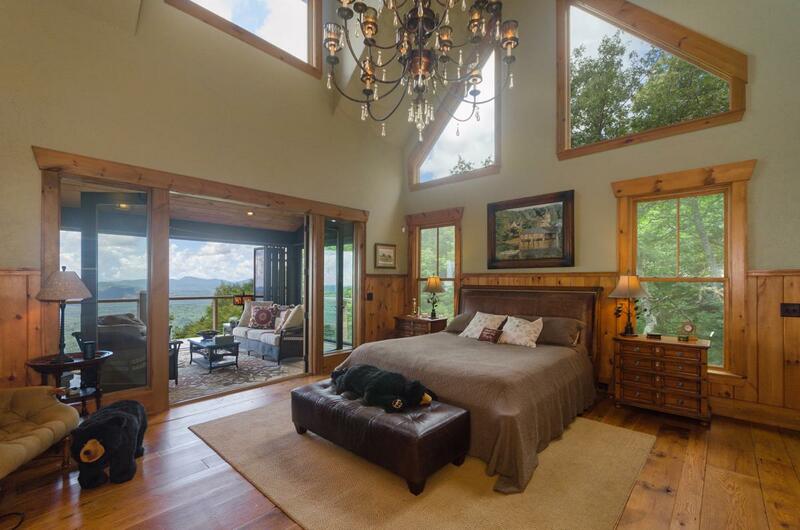 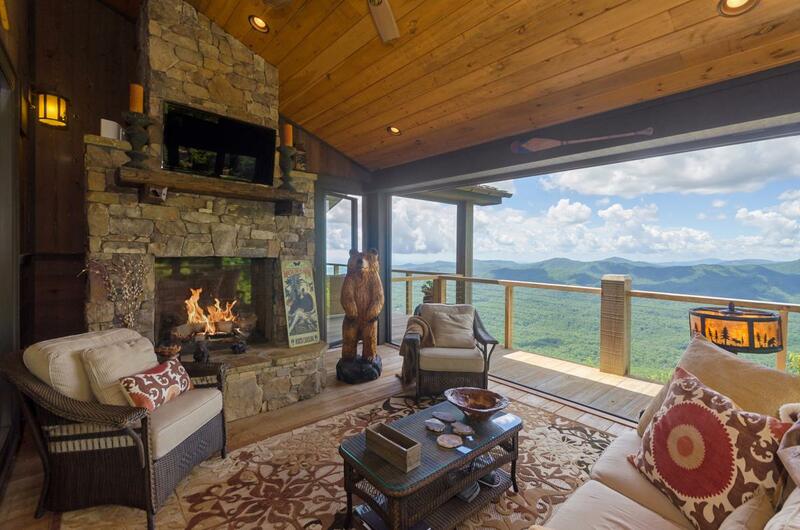 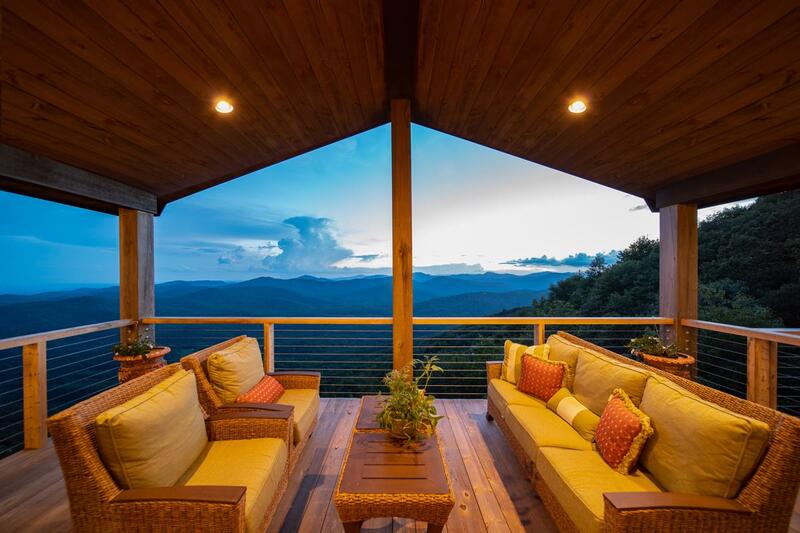 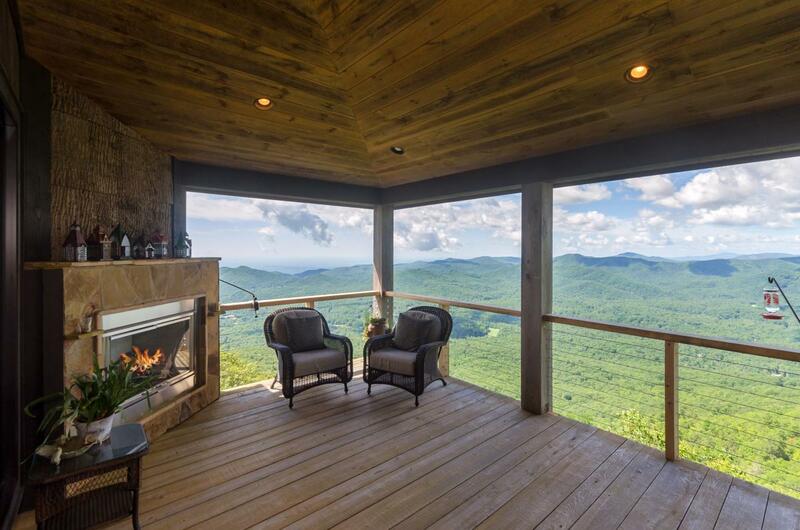 Perched above 4,550 feet in elevation in the quiet and picturesque enclave of Falcon Ridge, Ghostwood Bear Manor offers panoramic long-range views of South Carolina lakes, Whiteside Mountain, and multiple mountain ranges that must be seen to be believed. 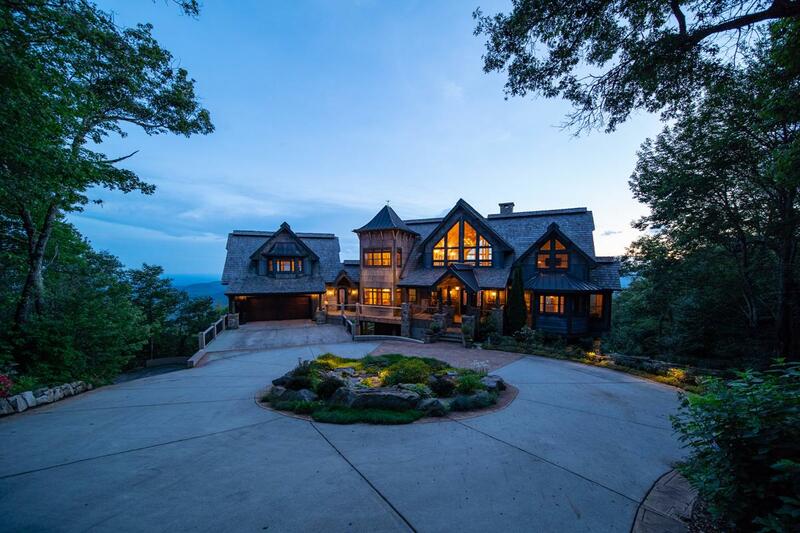 A gated entrance and impeccable landscaping with dramatic water features provide a stunning first impression of this architectural masterpiece. 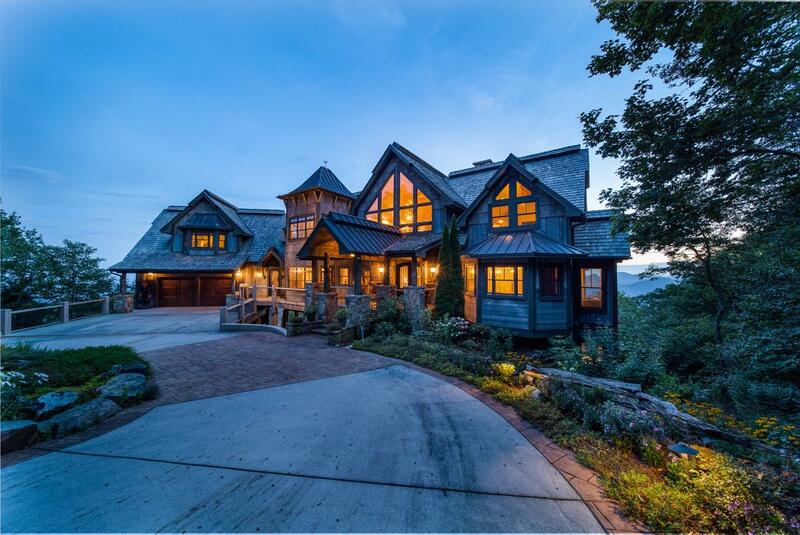 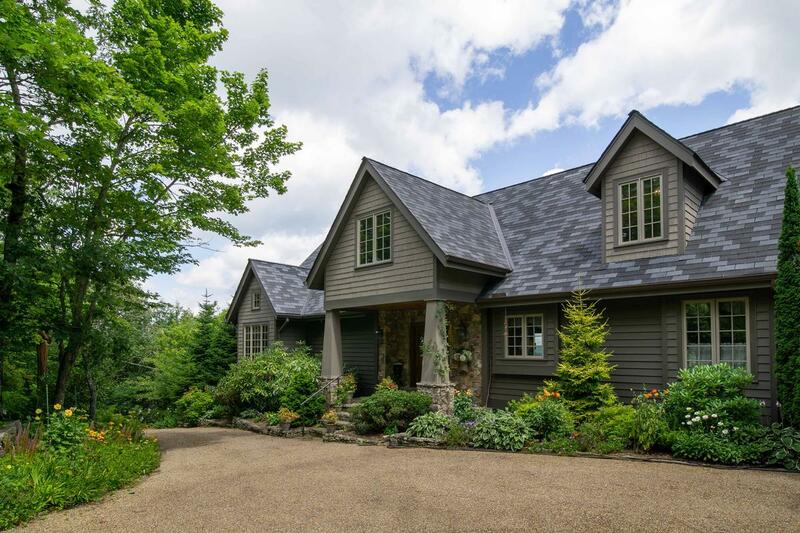 Ghostwood siding, copper and cedar shake roofing, and custom mahogany garage doors add to the abundant curb appeal. 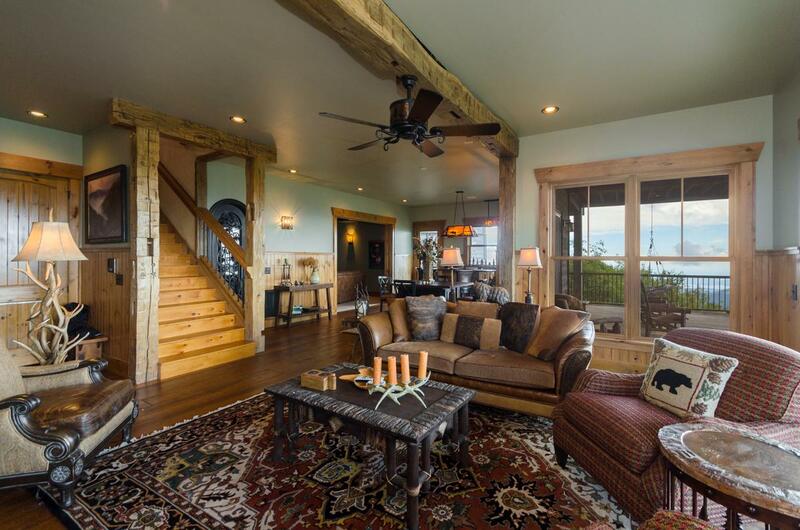 Reclaimed timbers and a stunning two-story fireplace grace the living area, which is open to the formal dining room and kitchen. 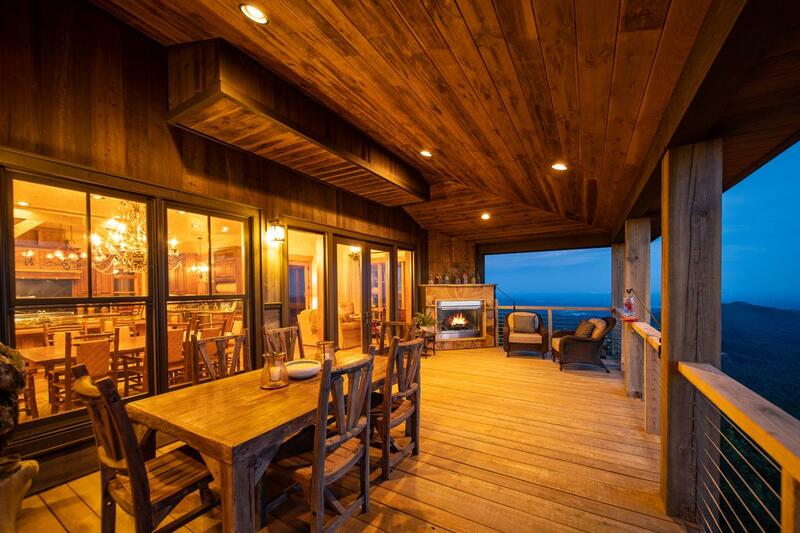 The many decks are perfect for relaxing amid cool breezes while enjoying a sunset cocktail next to the multiple outdoor fireplaces. 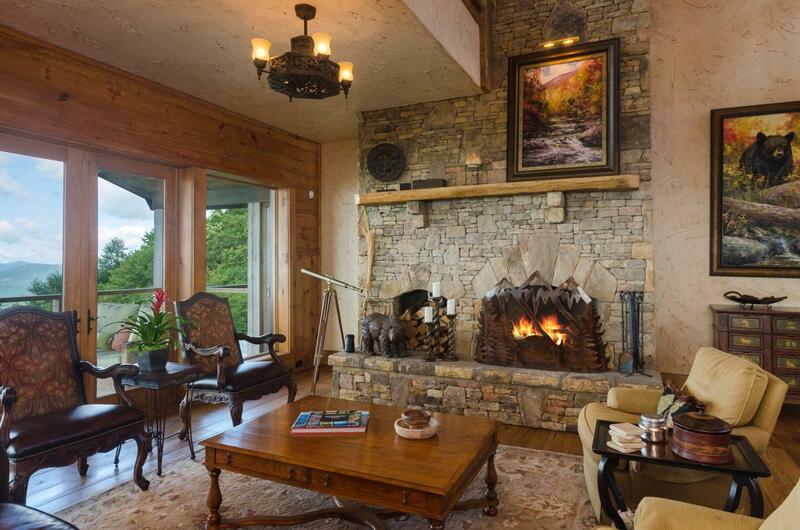 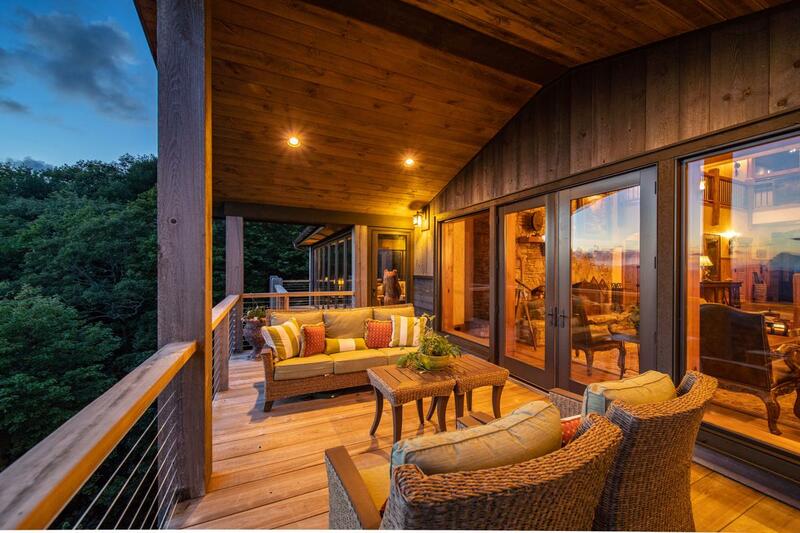 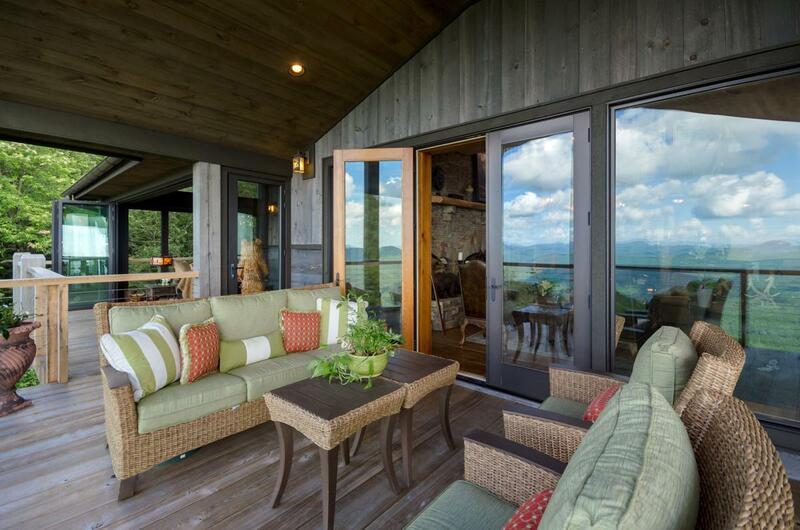 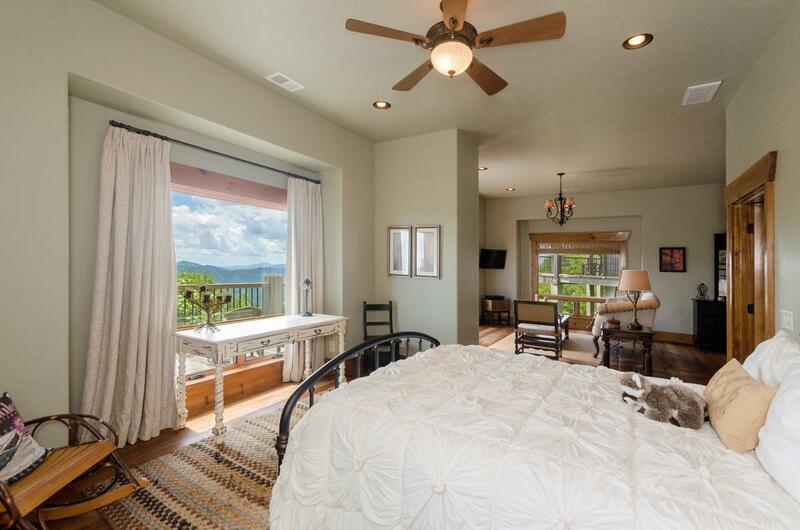 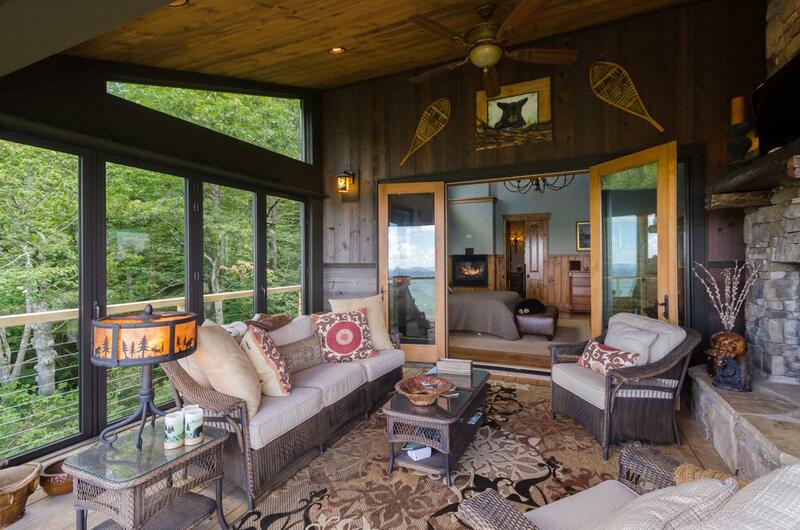 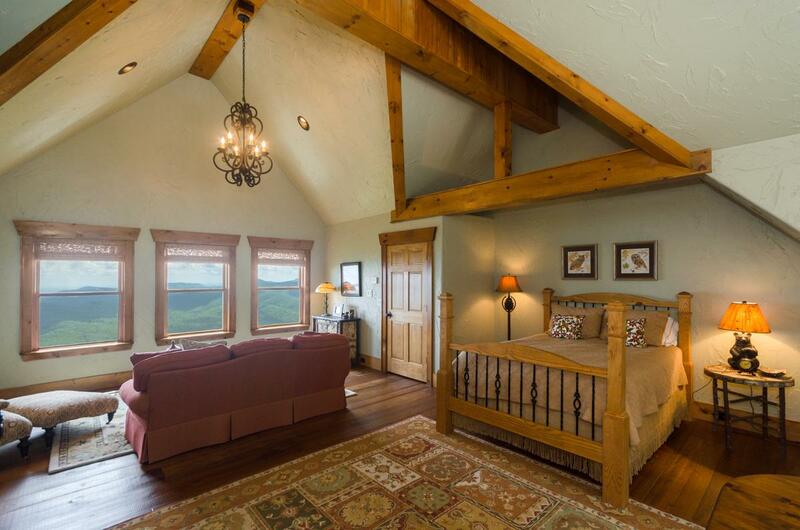 The first of two master suites has its own screened porch and fireplace for greeting the morning sun. 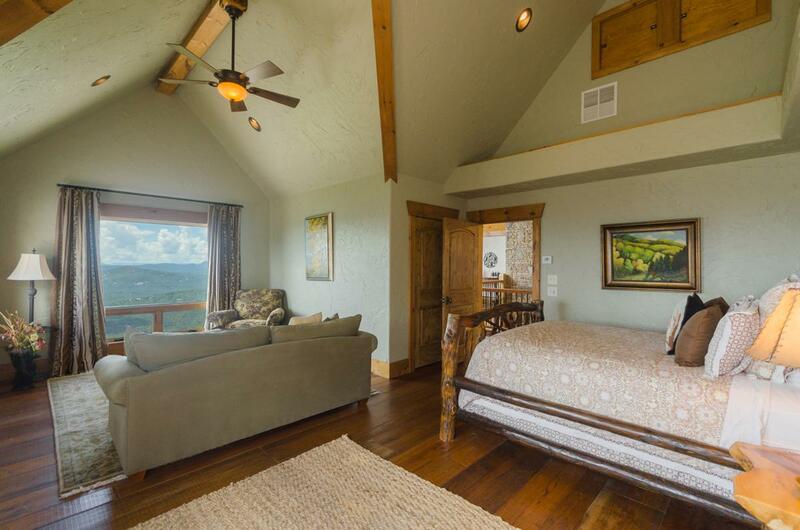 Encompassing over 8,600 square feet, the luxurious floor plan gives plenty of room for each guest to have a space of their own. 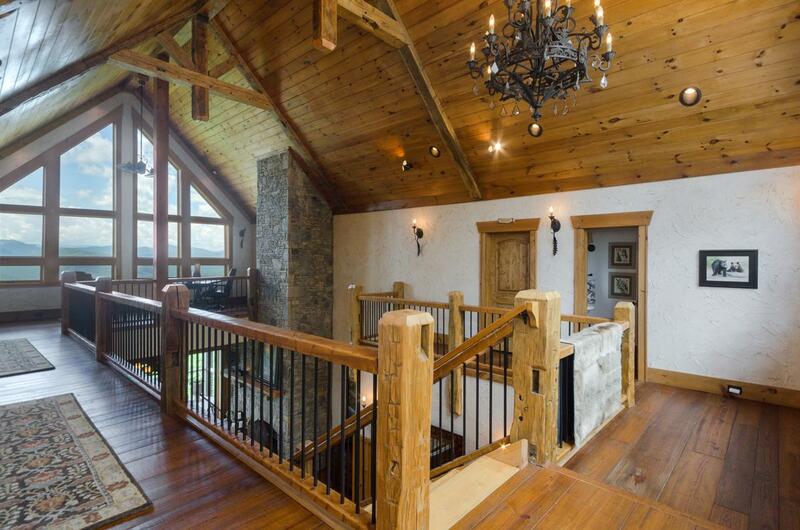 Two studio spaces, one above and one below the garage, make working from home a true pleasure. 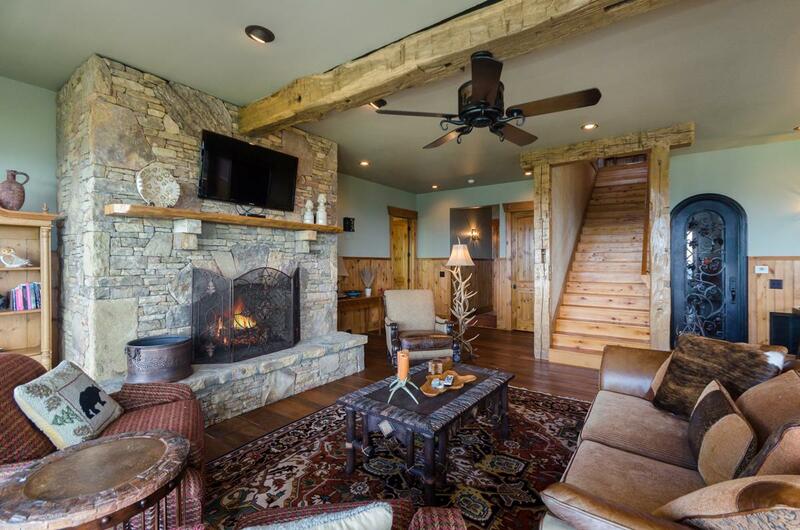 The climatized wine cellar, remote security monitoring system, and home theater offer added comfort and convenience. 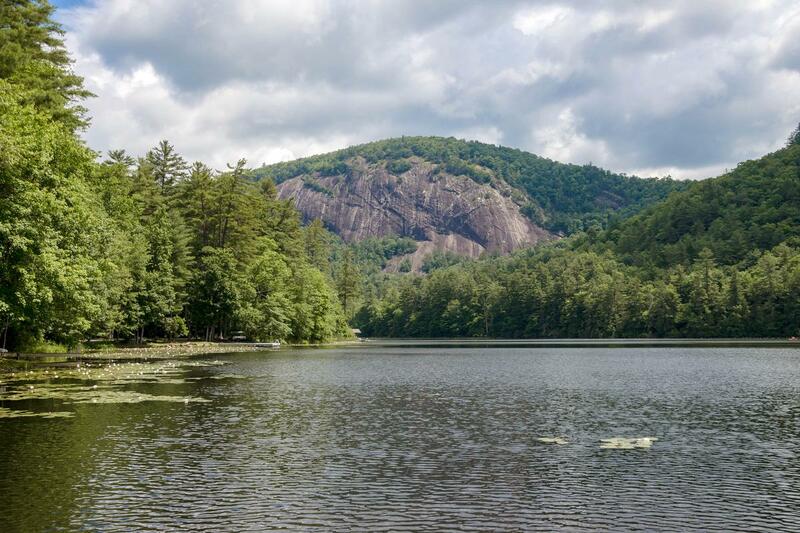 All of the amenities of the Sapphire Valley Resort are available with annual dues, such as golf, tennis, indoor and outdoor pools, fitness center, game room, hiking trails, winter ski slope and access to sparkling Lake Fairfield. 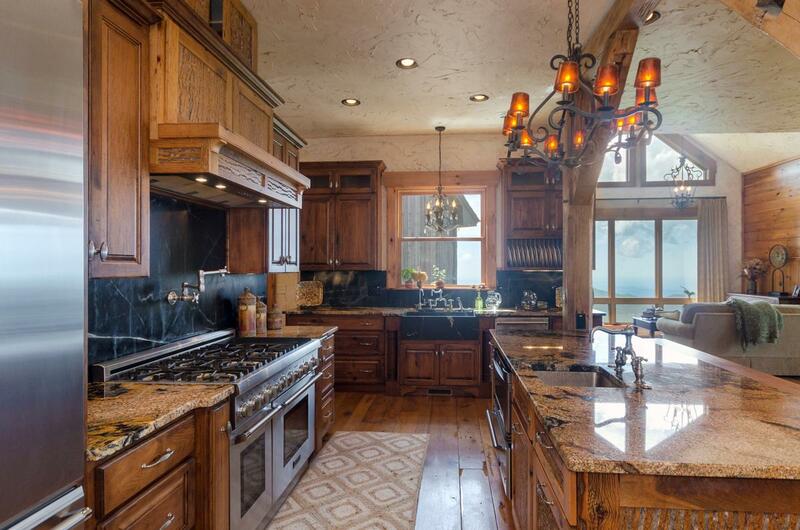 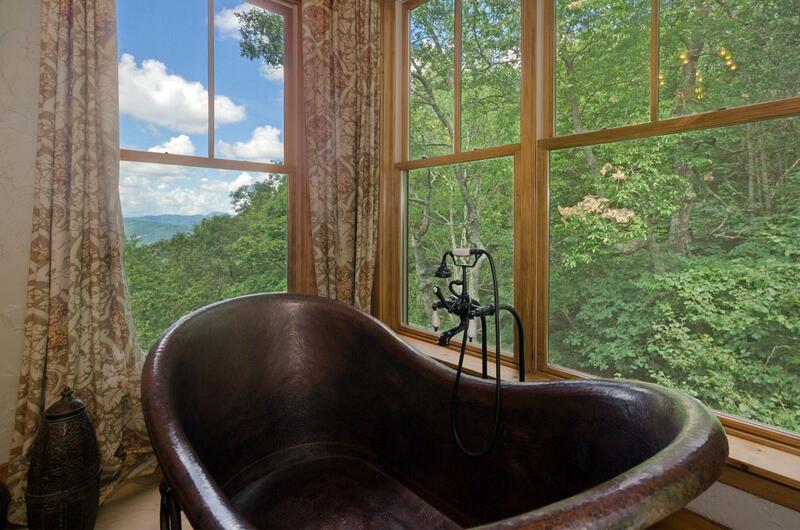 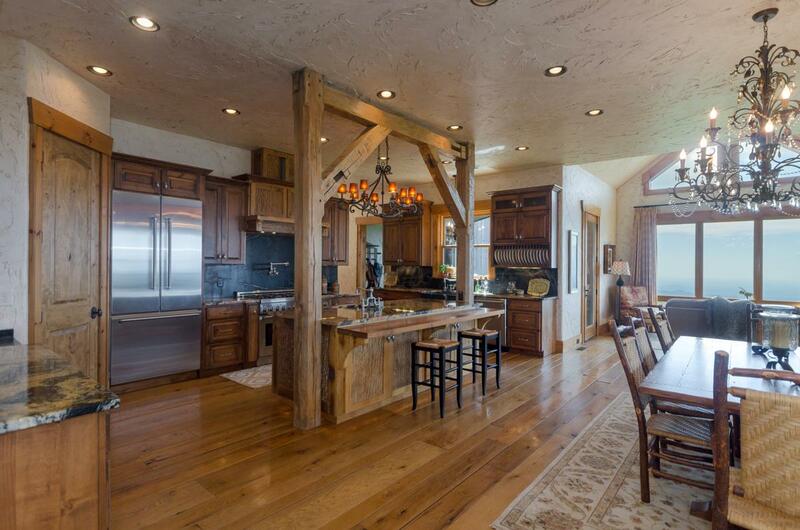 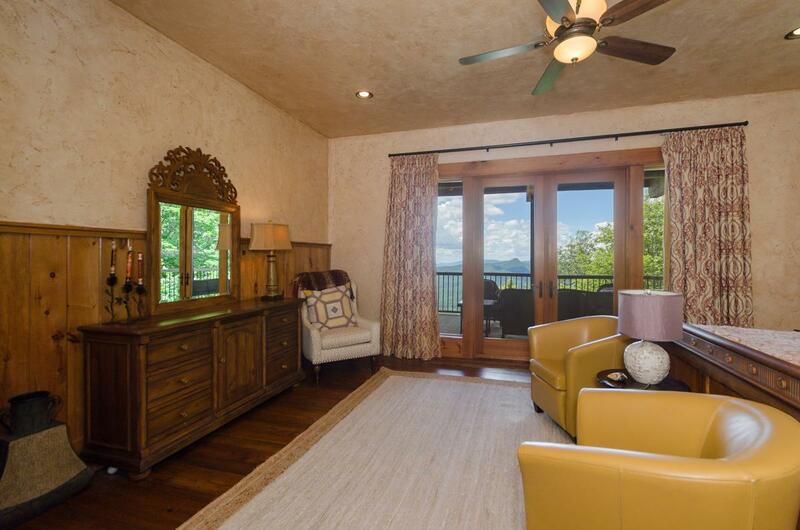 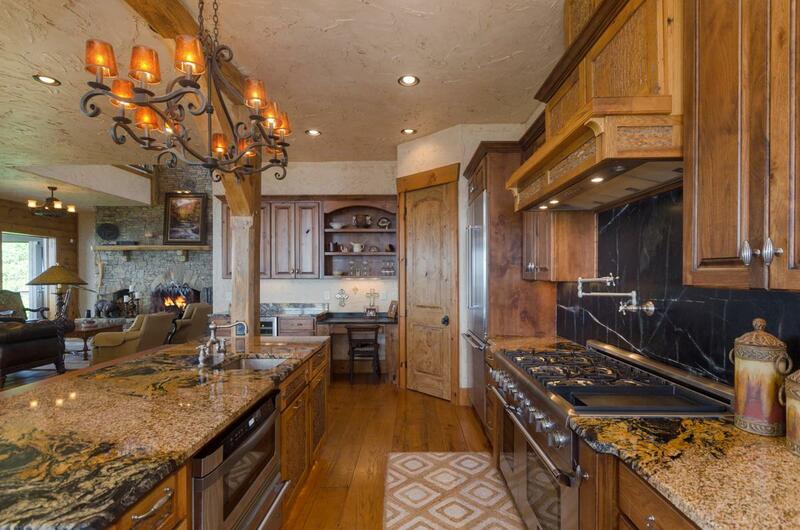 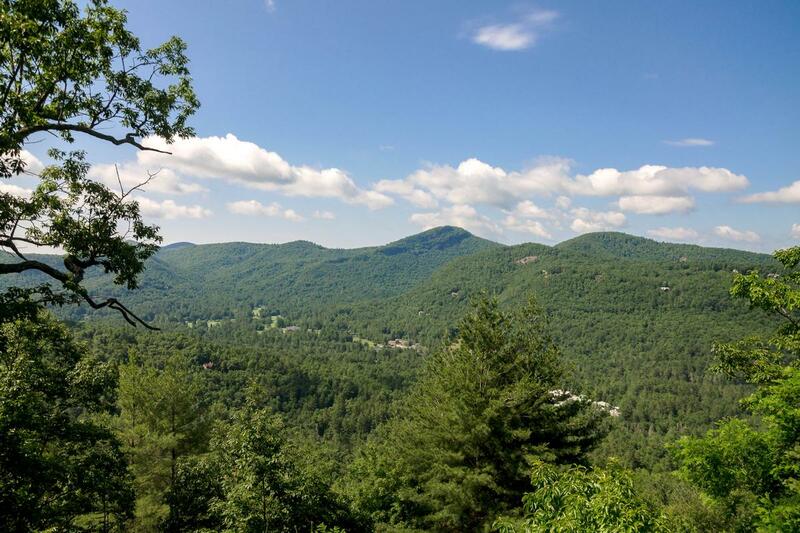 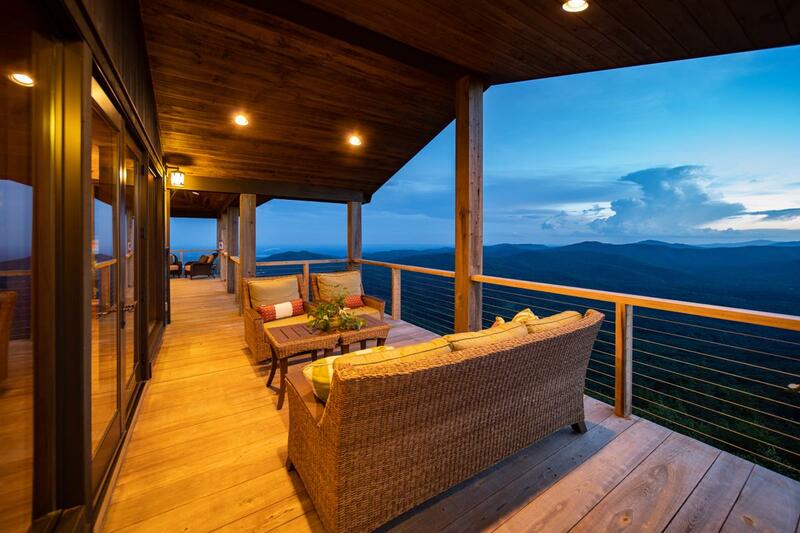 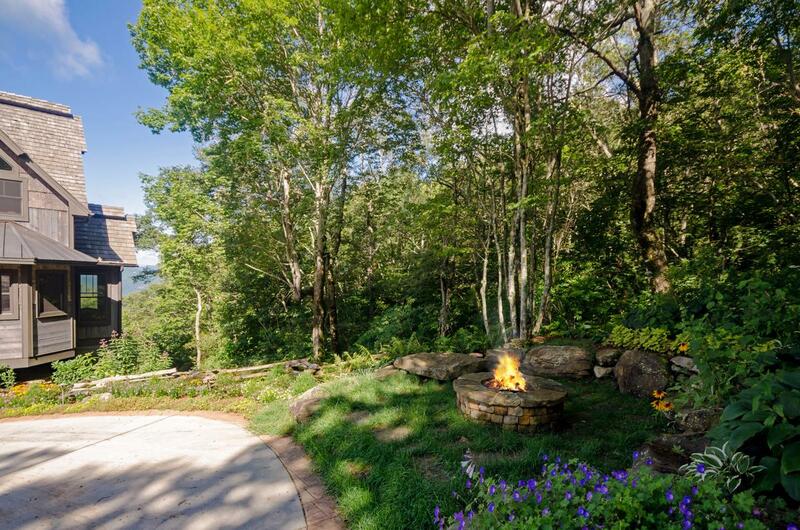 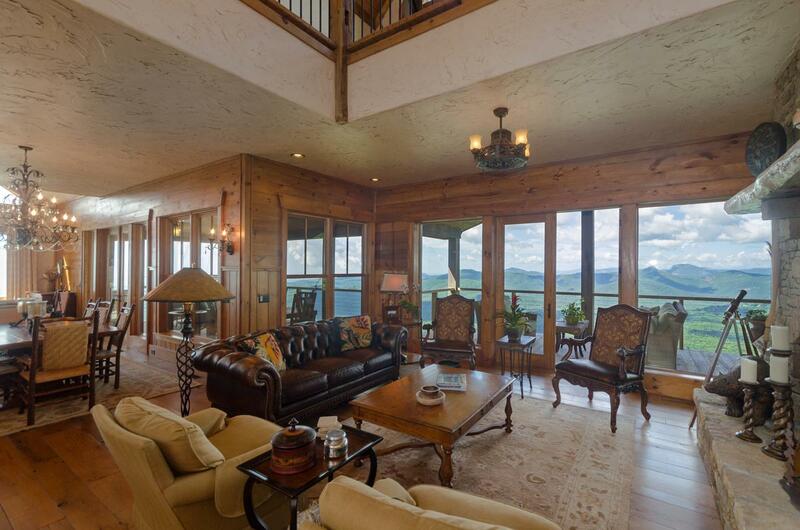 This is a terrific opportunity to buy a big view, high elevation home with resort amenities in a desirable community.